Picked this up and managed to put it back together in good order (first image) from the horrible way it had been sold in an auction (second image). 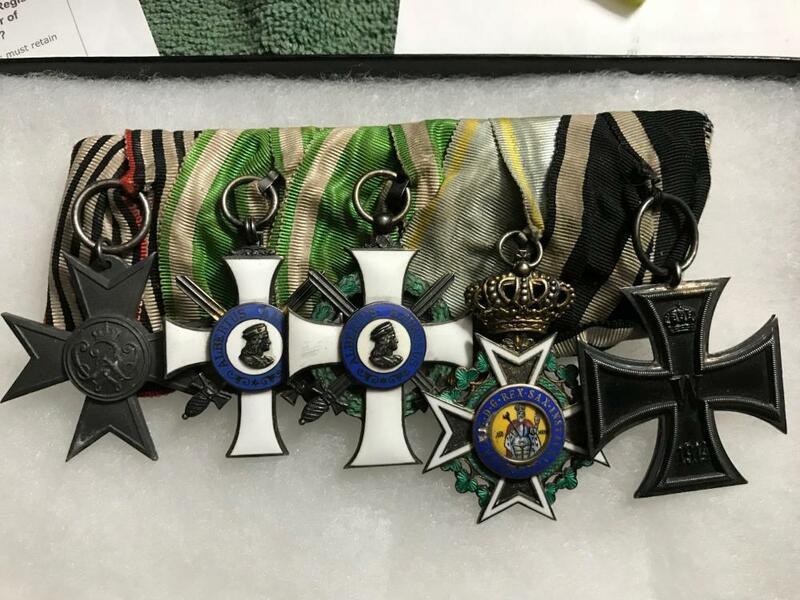 I looked in the 1924 Army Rangliste and could not find matches with these awards and the Prussian Military Merit Award. Are there any other sources to try and identify the wearer. Probably impossible to find without going through dozens of personnel files in Dresden, assuming they are there. 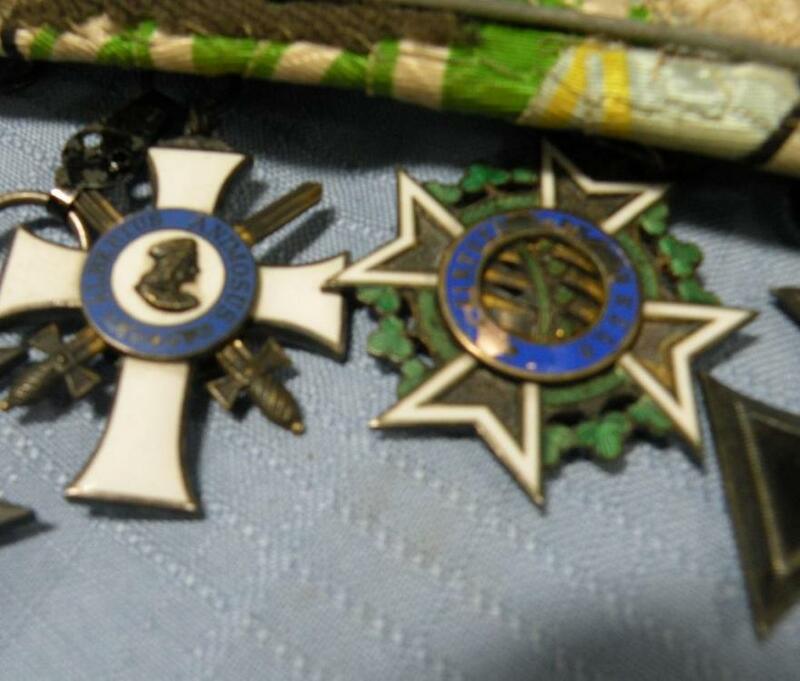 There aren't any lists of the Prussian Merit Cross for War Aid to Saxons that I know of. There are probably a few dozen recipients of the St. Henry and both classes of the Albrechts-Orden, but for whom no other awards are known. 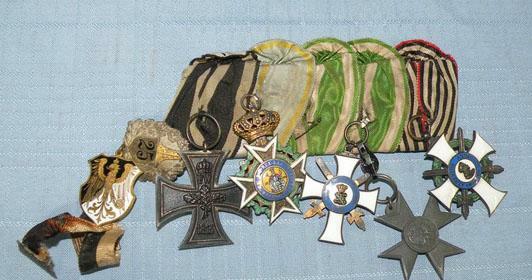 Many were reserve or Landwehr Hauptleute/Rittmeister, so they might have gotten the Prussian cross in their civilian/civil servant capacity. Many of these can be quickly eliminated because they also had other awards like the Saxon Landwehr-Dienstauszeichnung. That still leaves a bunch with no way of narrowing it down much further. It is still a nice and not very common combination, since the usual course was from the Albrechts-Orden to the Verdienst-Orden, rather than to the higher grade of the Albrechts-Orden due to an intervening promotion. Thank you, I was "afraid" of that. I still of course appreciate the bar and it is a wonderful example but it would of course been nice to tie it to an individual. Based on what the auctioneer told me, it was brought back after WWII by an American officer. 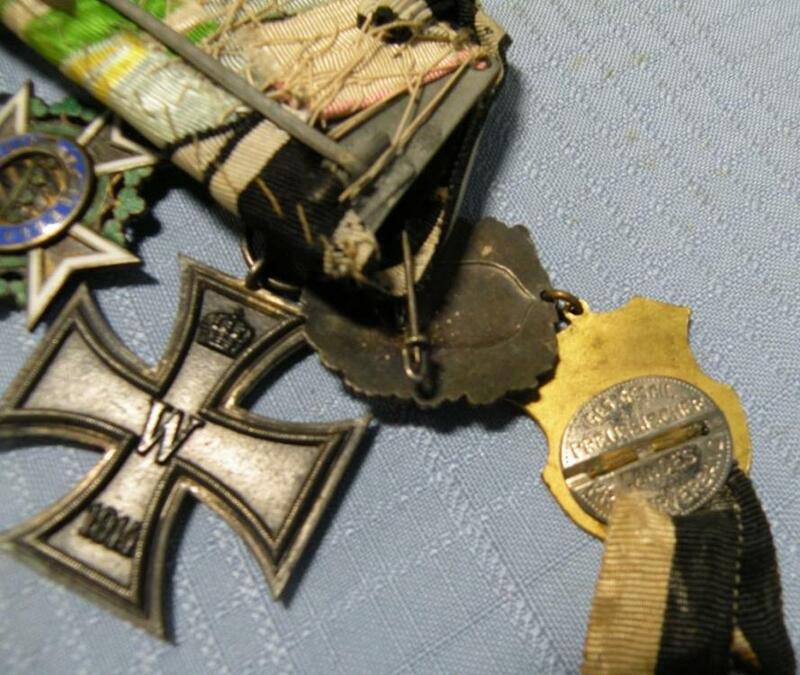 The auction I bought it in sold part of his estate and there were WWII US Army items and officers uniforms but this was the only WWI item which supports what i was told. Very nice Schnalle, anything with a St. Henry is cool, and the combo of SAO1mS and SAO2mS is also pretty unusual. Can you post a shot of the backside of the bar? I was able to narrow it down from a few dozen to a baker's dozen. These are the 13 names I have who are known to have received the SH3, SA3aX and SA3bX, but who cannot be eliminated for other reasons. • Arndt, Wilhelm, OLt.d.R. d. FAR 48, Hptm.d.R. • Bock, Erich, OLt., FußAR 12, Hptm. • Fincke, Martin, 1886-1933, Lt., PB 12, Hptm.a.D. 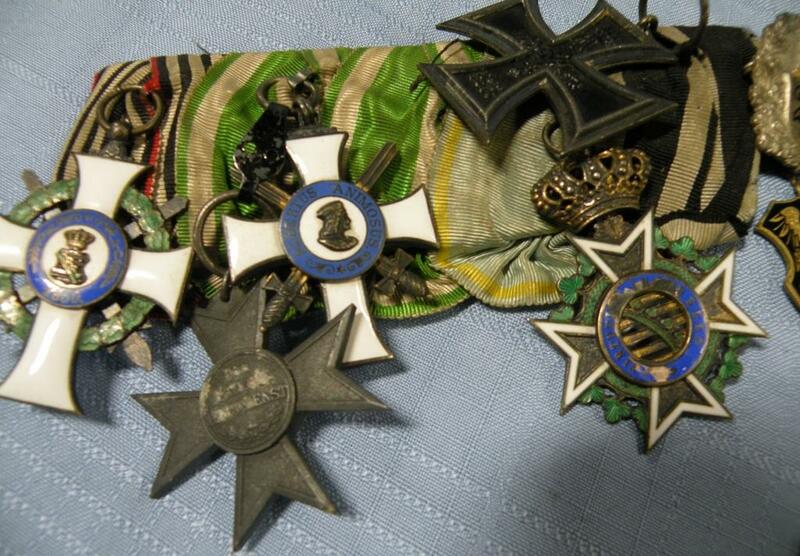 • Grohmann, Walter, 1886-, Lt., FAR 48, Maj.a.D. • Kretzschmar, Martin, 1887-, Hptm., FAR 78, Hptm.a.D. • Menz, Hans, 1887-, OLt., UR 21, Rittm., IR 473, Rittm.a.D. • Schilling, Walter, 1884-, OLt., FAR 28, Hptm., FAR 115, FAR 68, Hptm.a.D. • Wunderling, Kurt, Lt.d.R. d. KarabR, Rittm.d.R., Stab 88.Inf.Brig. There might be a handful of others who are known to have the SH3 and SA3bX, and who received the SA3aX late in 1918. A number of late 1918 awards are missing from the published rolls. Thank you Dave, some of those men i found in the 1924 Ranklist as well. Elbenstein is only listed as having the SA3bX in 1924. I appreciate your time. I mostly do reasearch or WWII Heer officers and do not have more than the basic books for Imperial research and the Honor rank list. The bar is already in a case and I do not want to take it out. I can post the horrible images from the auction when it was sold showing the rear. Lucky it was not more damaged. Probably had kids playing with it etc. Thanks, really great bar, just the sort of thing I like. Wrong Eibenstein. The one in the 1924 rank list is the later Luftwaffe Generalleutnant Rudolf Eibenstein. Benno, a Prokurist in Bischofswerda, was probably his brother. Ah yes Dave sorry, I also did not see the d.R. sorry. Yes me too, I was looking for WWII items and found this. 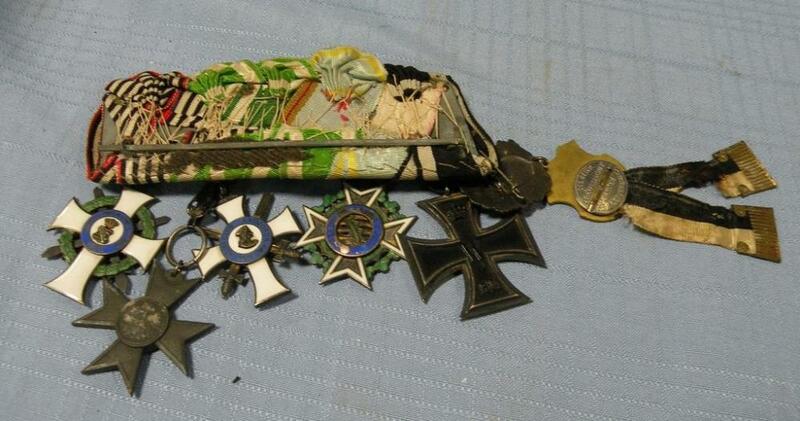 In the auction it was described as "Six Assorted Military Pins". 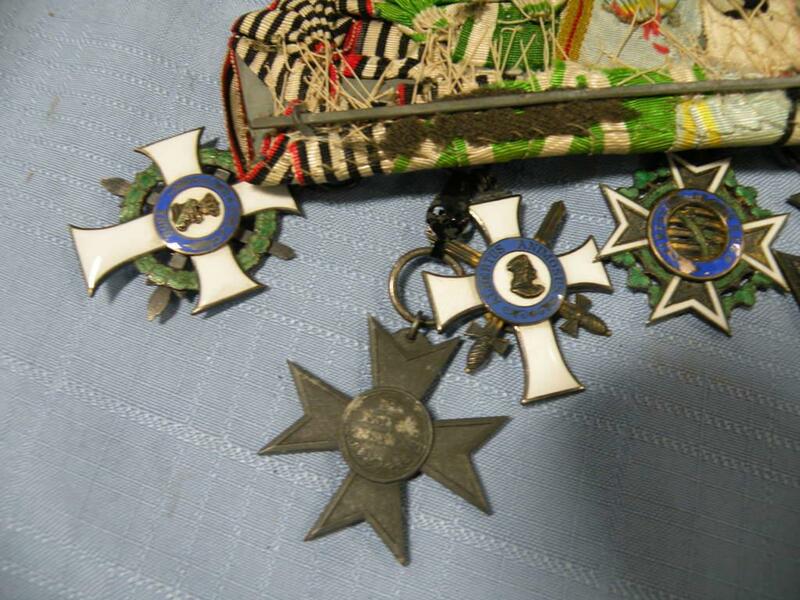 When I called the auction to make payment they referred to it as " the French Medals". Tiny town in the central US. Beautiful bar, anything St. Henry is wonderful to me. Nice working in restoring this beautiful set to it's past glory. While some will find heartache with this sort of thing, I believe you actually extended the life of this set.